Foreclosure activity has declined dramatically across the U.S. Here in Missouri, in fact, the Federal Reserve Bank of St. Louis declared recently that the Show-Me State exited the foreclosure crisis auspiciously at the end of 2016. Nonetheless, the foreseen regime of higher interest rates in the years ahead could still bring foreclosure issues to many home loan borrowers. The foreclosure debacle may already be on the rear-view mirror, but the times of record-low interest rates are now history as well. 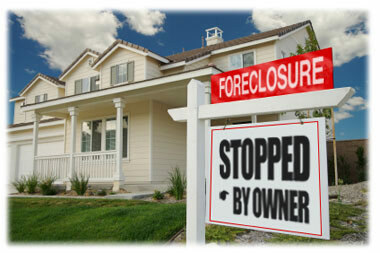 For one thing, too, what may be called a normal number of foreclosures remains a major concern. There’s still a lot of troubled home loan borrowers in Missouri which had well over 11,000 completed foreclosures in the 12-month period ended November 30, 2016. That being said, here are some steps by which homeowners troubled with mortgage payments could avoid the foreclosure process. Alert the lender ASAP if you’d be unable or would be late in mortgage payments. Seek an agreement on some mortgage modifications to stop the foreclosure process. There are several options which could be worked out. One is loan modification which may involve interest rate reduction, either permanent or temporary. Other approaches that could be taken include repayment or reinstatement plans. There’s lender forbearance as well. Here, the mortgage terms are temporarily changed, allowing smaller payments for a certain period or enabling the borrower to skip a payment. If the Department of Veterans Affairs backs your mortgage, it could buy the loan and take over the servicing from your lender. This refunding is feasible if your lender cannot extend a repayment or forbearance plan. Seek a loan restructuring, which has been prevalent as a result of the last housing industry crisis. In this relief scheme, monthly payments could be reduced for the initial years of the loan’s term and then raised thereafter. Re-amortization or extending the loan term is another option. Refinancing is advisable especially if you’ve maintained a strong credit rating. In certain unfortunate situations, no refinancing or restructuring option could bail out a house from foreclosure. It is a hard choice to make, but the only viable option left is to sell a mortgaged residence if say, for example, you lost your job unexpectedly and your savings aren’t enough to cover monthly payments. By selling before foreclosure, a better deal on the property is possible, and your credit rating is preserved. One recourse to explore is a short sale wherein the lender agrees to accept less than the amount of mortgage debt to satisfy the entire loan. There are some complexities in a short sale though. The amount not repaid, for instance, may be considered as taxable income. At House Sold Easy, we’ve helped a lot of homeowners who need to sell house fast via short sales. Our professional team has a combined industry experience of more than six decades in the real estate investment business. Certainly, we could assist you in navigating through the complexities involved if you need to sell house fast to avoid foreclosure. Call us at 636-525-1566. We’ll walk you through tried and tested steps that sell house fast!